Home / Green Building / What's Green About This Year's Super Bowl? What's Green About This Year's Super Bowl? This weekend’s Super Bowl features two of the greenest football teams in the US, and while the Phoenix stadium they will face off at can’t compete on solar, it can on energy efficiency. 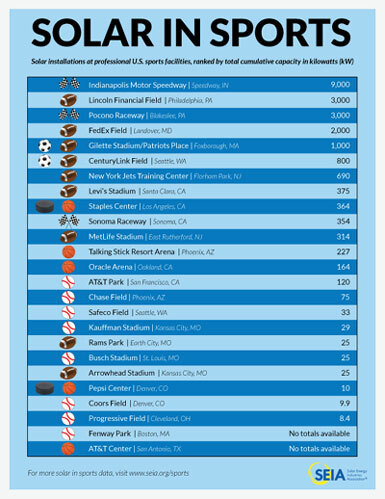 The New England Patriots stadium ranks #5 for solar (1 MW) and the Seattle Seahawks stadium ranks #6 (800 kW). University of Phoenix Stadium doesn’t have any solar. Instead, the utility says the game will be powered by 100% wind because it’s buying renewable energy credits equal to $300,000 in electricity use. Fans will experience this weekend’s game under LED lights, however, the first football stadium to completely switch over. 312 new LEDs will consume only 310 kilowatts, cutting demand an amazing 75%. 500 motion sensors and reduced load on air conditioners will bring down energy use even further. LEDs will also make it more enjoyable to watch the game – they provide brighter, more uniform light that eliminates shadows on the playing surface. Like many teams, another major focus is reducing food waste through composting and recycling. This time the effort is expanding with a goal for zero waste in the 12-block area outside the Phoenix stadium where lots of events also take place. Left-over food will be donated to Waste Not, which will distribute it to facilities that feed people in need. Across the US, 25 stadiums now have solar and 10 of those are for NFL teams. The Philadelphia Eagles lead with 3 megawatts -the first net-zero energy stadium – followed by the Washington Redskins (2 MW). About 30 million sports fans attended events partially powered by the sun last year, says the Solar Energy Industries Association. That’s when total solar capacity at professional sports venues reached 21.7 MW. Indianapolis Motor Speedway has the largest system in the world at 9 MW, enough to power 1,000 American homes. All this has occurred since 2007, when the Colorado Rockies first installed solar at Coors Field in Denver. Since then, the Green Sports Alliance formed, encouraging the use of solar and greening of stadiums across the country. A coalition of 25 sports teams were among the first to join the Obama Administration’s Better Buildings Challenge. 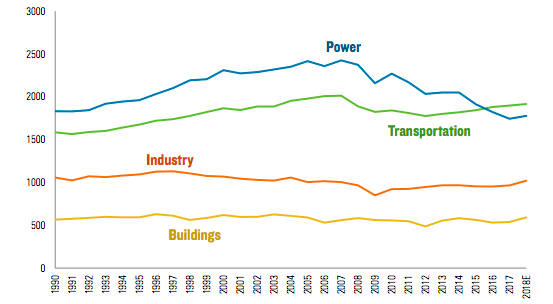 Read about last year’s Super Bowl, also called the greenest ever.